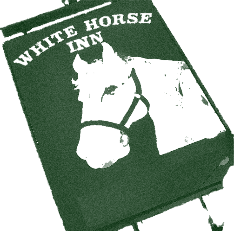 Here at The White Horse we endeavor to deliver a friendly, warm welcome to all of our customers. With our beautifully decorated, relaxed dining and bar areas, you are sure to enjoy your visit with us. Here at The White Horse we appreciate the value of real ale. Our bar is always well stocked with the best cask ales, including some fantastic guest ales. Enjoy a drink in our cosy bar area. We pride ourselves on our delicious menu – featuring all your favourite traditional pub meals, through to our Team’s seasonal specials – there is something to suit all tastes and appetites. Weddings The charm of The White Horse Inn provides the perfect setting for your wedding. We are committed to making your wedding a truly special occasion for you & your guests. Our packages are tailor made to your requirements, formal or relaxed. For more details please ring Michael 01302 710211 or e-mail Birthdays Whether it is a big 40th bash or a family gathering The White Horse Inn can provide all that you need to make your birthday memorable. Our restaurant is available for private hire at lunchtime & in the evening.